Morinda Citrifolia Fruits from India. Exporter & reputed Supplier of Medicinal Herbs , Black Cumin Seed, Licorice Roots, Soapnuts , Safflower, Bitter Apricot Kernels , Dried Noni fruit, Ambrette Seed , Quince seeds , Green Tea, Vegetable Oil Seeds , Spices , Essential Oils , Curcumin Extract 95% , and other Herb extracts ETC. 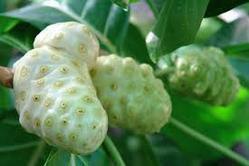 Our clients can avail premium quality of Morinda Citrifolia from us. It is powerful health drink that keeps us healthy all over the year. We are dependable name, affianced in offering Morinda citrifolia across the boundaries. We deliver fresh Morinda Citrifolia which is extensively reviewed for quality and nutritional value. Known as the essential inputs, raw materials that we use are carefully checked against varied quality parameters. Thus, we are capable of delivering a flawless range of products to the clients. Its available in many countries with our and other's brand name. In case you need it on private labeling, please let us know. 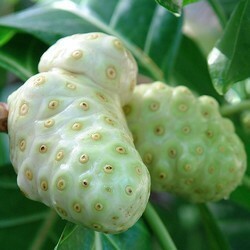 We have carved a niche amongst the most dominant names in this domain, instrumental in providing excellent quality range of Noni Morinda Leaves.we are supplying to USA, CHINA, SINGAPORE, MALAYSIA AND EUROPEAN COUNTRIES. - It maintains healthy immuno response.